On July 1, 1936, during the harsh years of the economic downturn known as the Great Depression, Wallace Amos, Jr., was born. Most people know him as “Famous Amos,” the face of the popular Famous Amos Cookies. By building his multi-million dollar franchise off the fame of his cookies, Amos instructed future generations of budding African American entrepreneurs on the power of branding. The Famous Amos brand became widely known through his strategic use of celebrity endorsements. Well known in the Hollywood scene, Amos garnered commercial endorsements from such A-List entertainers as Helen Reddy, Elton John, Carol Burnett and Marvin Gaye. Eventually, Amos’ business acumen failed him, resulting in multiple bankruptcies and the loss of the Famous Amos brand. Yet, even during these tumultuous times, Famous Amos retained his positive outlook. He overcame the losses, regaining a presence as the smiling face of Famous Amos Cookies. The Amos’ were a working class family in Tallahassee, Florida. Wallace Amos, Sr., earned a living working at the gas company. When their son was 12, the parents divorced, sending Wallace, Jr., to live with his Aunt Della in New York City. Della, a good cook herself, gave Amos his first taste of chocolate chip cookies. Amos decided that he wanted to enter the restaurant industry as a chef. The local high school allowed him to work as an intern at the fashionable Essex Hotel. There, Amos encountered racism, when he learned that the hotel restaurant did not allow African Americans to prepare certain dishes. This incident dampened, to an extent, the desire to cook. Amos then went on to enlist in the Air Force in 1953 at the age of 17. After serving four years in the military, Wally Amos began moving quickly up the ladder of business success. In 1957, while working part-time at New York’s Saks Fifth Avenue, Amos made such an impression that management enrolled him in its executive training program. In 1961, he accepted a job with the William Morris Agency. It would be here that Amos began meeting celebrity clients. After earning a promotion from the mailroom to assistant agent, Amos realized that the odds of an African American moving any higher at the agency were slim. As a result, he moved to Hollywood, CA, in 1967, to start a career as an independent entertainment agent. In Hollywood, Amos learned to use his connections to maximum benefit. He asked singer Helen Reddy, who, like many, had received a taste of Amos’ chocolate chip cookies at parties, to help finance a new cookie venture. She agreed, and along with Marvin Gaye and Artie Mugall, helped Amos begin the Famous Amos Chocolate Chip Cookie brand in 1975. With such celebrity backing, the cookies became popular in fashionable circles and with ordinary consumers. Even Bloomingdales, the New York retail store, recognized the strength of the brand and began selling the cookies in its establishment. Amos made millions per year from this enterprise, and the Famous Amos cookie brand, with his image emblazoned on each package, became a household word. Success came at a price. On the personal level, Amos suffered two divorces. Meanwhile, the business environment became harsher as more competitors entered the fray. In 1985, the multi-million dollar company went bankrupt. Amos, the founder, sold most of his shares to the new managing firm, eventually losing all shares. From 1989 to 1999, he played no role in the Famous Amos Cookie business. Determined as ever, Wally Amos began a new cookie line, known as the Noname Cookies, winning distribution deals with prominent convenience stores and retailers. 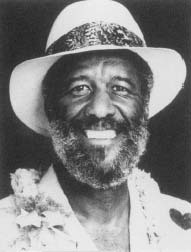 In 1999, Famous Amos cookies, now under new ownership, asked Wally Amos to return as the face on its packages, a request that he accepted. The creation of Famous Amos cookies by Wally Amos proves African Americans can be leaders in business branding and marketing.